Having served the community for 50 years, the church felt led to love and to serve the ever-changing, dynamic SouthPark community in a more dynamic way. In order to do this, the church relaunched with a new name and a new mission. 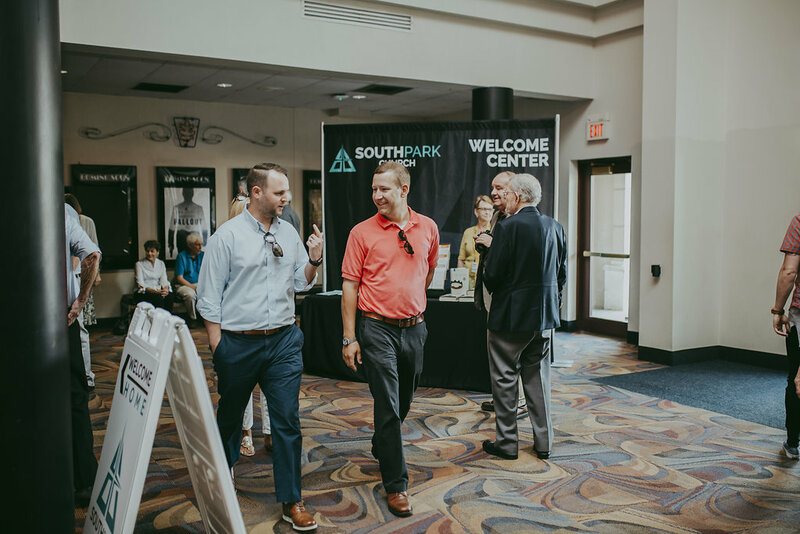 To use the property to its full potential, God instilled a vision in the congregation to give up the current iconic building and to take on the Love SouthPark initiative. Love SouthPark creates a place for the church and community to intersect, leading people into the rich life found in Jesus Christ. We are excited to partner with Childress Klein Properties, a leading developer in the southeast. Click here to watch an in-depth video about the project. To receive updates on the project as it progresses, give us your name and email and we'll add you to our list. To better serve and be more present in the SouthPark community, the congregation of Sharon United Methodist Church decided to not only change its name to SouthPark Church, but tear down our iconic building. We are redeveloping our 7-acre property into a mixed-used development. This new modern campus will create a place where people can live, work, shop, eat, enjoy the arts, and worship. Anchoring the development will be the new home of SouthPark Church. 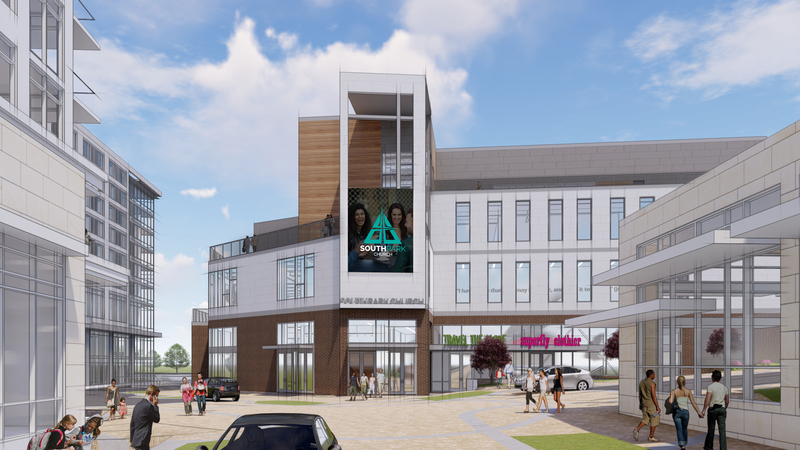 The project will create a place where the church and community intersect, a massive transformation for the SouthPark area and an expression of our belief that love transforms. Thus we're calling this project "The Love SouthPark Initiative". Watch a full in-depth video to learn all about why we feel called to do this project and how God is making it happen. While development is underway, we are meeting at Regal Cinemas at Phillips Place in SouthPark. You can join us every Sunday from now until the new campus is ready. We'd love to meet you this Sunday at 9:00 am for Traditional Worship or 10:30 am for Modern Worship. We've created two unique styles of worship that you can read about on our worship page. There's no dress code, so come as you are! Even though God has moved us in a new direction, we're so thankful for the past that brought us here. Our iconic campus was a light in the SouthPark area for over 50 years. Through the use of technology, we were able to preserve a virtual tour of our old campus. Feel free to explore.